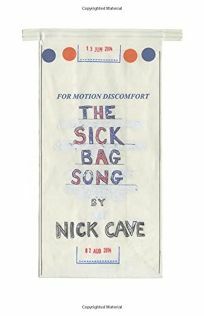 This week: Marina Abramovic's remarkable memoir, plus Nick Cave's tour diary. 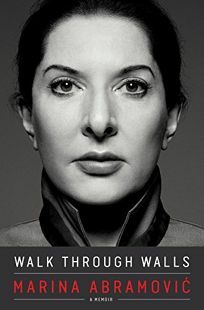 Performance artist Abramovic shares the remarkable experiences of her life and background on some of her best-known art pieces in this enchanting and emotionally raw memoir. 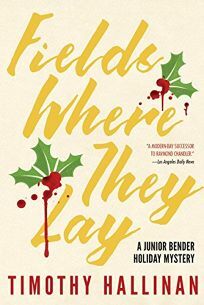 Her story begins in 1940s Communist Yugoslavia, where her Partisan parents’ stormy relationship cast a pall over her childhood. This is followed by a glimpse of freedom at Belgrade’s Academy of Fine Arts in the 1960s, where Abramovic began to engage with the avant-garde first as a painter and then by staging her first piece at the Belgrade Youth Center in 1969. She then spent a decade touring with her lover, fellow artist Ulay. She provides fascinating glimpses into her experiences living with Aboriginal Australians and her walk of China’s Great Wall, sharing illuminating notes from her performances diaries and giving insight into her teaching technique. She o utlines the conceptions and orchestration of the blood-soaked knife game Rhythm 10, the marathon sitting performance Nightsea Crossing, reprised as The Artist Is Present for her 2010 MoMA career retrospective, and the ingenious, cow bone-littered Balkan Baroque. Abramovic is brilliant with atmospheric details, coloring the narrative with macabre Slavic jokes and descriptions of the thick glasses and “horrible, socialistic” orthopedic shoes that marred her adolescence; an early living space with a bucket and hose for a shower. She is confessional but unsentimental, admitting to insecurities and failures with refreshing candor. This is an honest, gripping, and profound look into the heart and brilliant mind of one of the quintessential artists of the postmodern era. In this companion memoir to Tasting the Sky: A Palestinian Childhood (2007), Barakat continues her tale of growing up in Palestine from 1972–1981, a politically turbulent time. As a high school student, Barakat reminds herself that while she “cannot do anything about Iraq and Iran, the American hostages, Lebanon, the civil war and the Palestinian camps,” she can study for her exams. Themes of equal rights and education for girls become especially poignant as Barakat’s mother acknowledges that leaving school for marriage felt “worse than death” and decides to resume her high school studies. Divided into five parts correlating with the family’s five homes, the book captures Barakat’s growing understanding of the complex dynamics in her parents’ marriage, her outrage at gender-based restrictions, and her determination not to live a life like that of her mother. 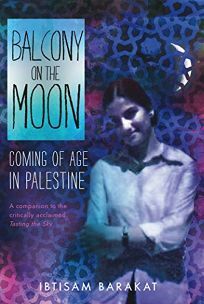 When her willingness to question and explore opens doors for her, Barakat receives encouragement and support from surprising sources, validating her sister’s statement that “being Palestinian teaches you to be ready for any destiny.” This is a compelling personal history, brimming with humor, wisdom, and empathy. 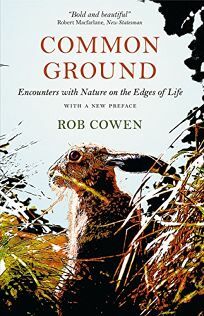 In beautifully written and evocative prose, English nature writer Cowen explores the relationship between humans and nature, making it abundantly clear that nature is where you find it. His subject is ostensibly a single square mile of waste land on the edge of Bilton, a small town in northern England. Cowen writes, “The no man’s land between town and country; this was the edge of things.” He masterfully describes this place of beauty and garbage, a place filled with wildlife and the smells and sounds of the encroaching town. But he does much more than superbly describe the transformation of the seasons over the course of a single year. In discussing the changes the land and its inhabitants have experienced over hundreds of generations, Cowen brings the lives of individuals into sharp and poignant focus. Whether he is creating the story of a red fox eking out a living, a deer hunt two centuries ago, or a vagrant living on the land, he captivatingly blends science, politics, and poetry, passionately explaining “the need for a new global ecological consciousness to the bored commuters parking their Rovers and Volvos at the railway station.” Cowen shows how to find joy and awe in the quotidian while cogitating on the world we will leave the next generation. Edgar-finalist Hallinan deserves to win an Edgar for his ingeniously plotted, often hilarious sixth Junior Bender novel (after King Maybe). Junior, a thief who has “probably stolen more things than most people own,” owes a favor to a San Fernando Valley, Calif., crime boss, and agrees to work for a scary Russian thug who has adopted the name Tip Poindexter. The Edgerton Mall, which Tip owns, has recently experienced a dramatic spike in shoplifting, and Tip demands that Junior find out why. The assignment is depressing for Junior, since it comes just days before Christmas, which has always been an emotionally trying holiday for him. The investigation pays off with a brilliant solution that few will anticipate, and the sophisticated story line is only one of the book’s highlights. Another is the masterly way in which Hallinan creates his own world-weary Chandlerian narrative voice (a golf club Junior visits is “one of the Valley’s shiny new gathering places for people whose money was recently acquired and whose manners hadn’t yet been sanded down into the smooth indifference that marks multiple generations of wealth”). Readers will eagerly await Junior’s next adventure. Comprising three stories of recurrence, death, and self-discovery, Lewinter’s collection is refreshing in its fundamental strangeness; his narrator’s road to realization dramatically eschews the linear and doubles back, many times, on itself. 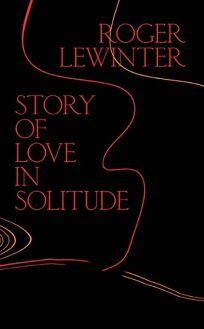 In “Story of Love in Solitude,” the narrator, living alone, welcomes the evening company of an unusually punctual spider, “the only animal, in practice, with whom it is possible to coexist within strictly defined, and respected, territories.” In “Passion,” the narrator grows attached to a camellia that he purchases for himself in 1986, 20 years after giving a similar flower to his parents for their anniversary. As he works on a translation of Rilke, the camellia grows “luxuriant... encircled with an armor of foliage that, under the low-angled rays of the afternoon sun, lit up... into which, often, in the evenings, with exultation, I would plunge my face.” Soon, however, the flower is attacked by insects, and the narrator must fight frantically for its survival. In “Nameless,” the narrator’s struggles with loneliness and desire—concurrent with the story of the camellia—are made explicit as he becomes enamored with a seller at the local market, with whom he fails to reach an understanding even as “the devourment of not knowing his name was exacerbated nearly to madness.” Lewinter’s prose—lengthy sentences, punctuated largely by commas, semicolons, and dashes—has hypnotic appeal when combined with his tendency toward meandering asides and lovely melancholy. With masterful command of his subject and a clear, conversational style, Marrin (FDR and the American Crisis) lays bare the suffering inflicted upon Japanese Americans by the U.S. during WWII. Marrin delves into cultural, political, and economic strains leading up to Pearl Harbor, documenting extensive racist beliefs on both sides of the Pacific. Perceived as unacceptable security risks after the attack, Japanese immigrants living on the West Coast (issei) and their children (nisei), U.S. citizens by birth, were sent to desolate relocation centers. Only nisei trained by the military as linguists or who served in two segregated Army units in Europe were spared the humiliation of prisonlike confinement. 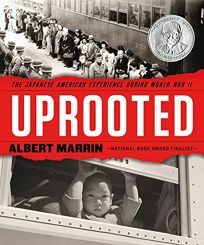 Marrin admirably balances the heroism and loyalty of both groups with the hostile reception they received after the war and the legal battles of the few nisei who resisted; their convictions were only overturned in the 1980s. A prologue and final chapter questioning whether national security can justify the limiting of individual liberties, during wartime or as a response to terrorism, bookend this engrossing and hopeful account. Archival photos and artwork, extensive source notes, and reading suggestions are included. The series opener from Pike (the Wings series) dazzles and enchants, blending Baroque-era sensibilities with futuristic realities. Danica Grayson, 17, lives in the 22nd-century country of Sonoman-Versailles, which consists of the French palace at Versailles. Now owned by a multinational conglomerate, the palace and its grounds act as the company’s headquarters and the last bastion of courtly life. It’s a place of contradictions, where robots handle mundane tasks, overseen by a frighteningly efficient AI, and the residents adopt the dress and social structure of a bygone age. Blackmailed into an engagement with the 19-year-old king, Danica is desperate to escape. The only way she can flee the king’s wrath and her mother’s tyranny is to become someone else, which requires money, so she turns to selling a powerful drug that’s infecting the streets of Paris. 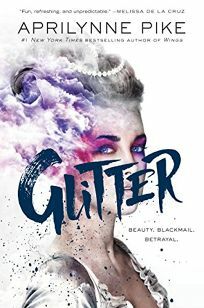 Mixed into cosmetics, it becomes wildly popular, but Danica’s downfall is as swift as it is gripping. Beautifully detailed scenes serve as the foundation for Danica’s ethical quandaries and illuminate the fantastical world in which she lives.